Colic is a condition where a normally healthy baby or infant cries for extended periods of time even after basic needs such as hunger, tiredness, and wet diapers have been attended to. The crying is often also accompanied by signs of discomfort, such as intestinal cramping which causes a baby to draw his or her legs up towards the stomach. The crying or fussiness can usually increase at particular times of the day such as early evening or after a feeding. Colic typically occurs two weeks after a child is born, and usually goes away within three months. However, in some instances the condition can last for up to a year. A baby is often diagnosed as being colicky if they cry for more than 3 hours a day, for at least 3 days a week over the span of at least 3 weeks. However, many doctors disagree with this diagnosis and even babies that cry excessively for less than 3 hours per day can be considered colicky. While colic is often harmless and typically goes away on its own, it is always important to watch for any other symptoms to make sure that there isn't a more serious underlying issue that is causing the excessive crying. For example, frequent vomiting, changes in stool color or frequency, body temperature changes, or poor weight gain can often be signs of more serious medical conditions such as infections that require medical attention. Unfortunately, there is no clear medical cause of colic in infants. A few theories suggest that colic could be caused by stomach gas, which can occur in babies that don't burp well after a feeding. Gas can also be caused by poor milk flow, particularly when babies are bottle-fed, since there is a higher chance of a baby swallowing lots of air. Other theories suggest that colic could be a sign of minor food allergies. For lactating mothers, some pediatricians recommend avoiding certain foods to see if they help reduce colic symptoms in their babies, such as chocolate, nuts, dairy products, and onions. Similarly, for formula-fed babies, avoiding milk-based formula for a short time is often recommended to see if colic symptoms are reduced. While medical professionals haven't been able to find a definitive cure for colic, there are a number of home remedies and natural treatments that many people have found to work well. The next section outlines some of the most common colic remedies that parents have discovered over the years. Gripe water is an age old natural remedy for treating gastrointestinal discomfort. Since a few theories suggest that gas could be a cause of colic symptoms, gripe water is certainly something to consider (even though there is no clinical evidence that proves its effectiveness in treating colic). The main active ingredient in gripe water is sodium bicarbonate (baking soda), which is known to increase the pH level in the stomach which can provide some relief. Other common active ingredients include fennel, ginger, dill, and chamomile, but the inclusion of these additional ingredients can vary depending on the particular brand. Gripe water is available in most pharmacies and specific dosage information can be found on the package or bottle. Add 1 teaspoon of chamomile leaves into a cup of boiling water. Cover the cup and let the leaves stand for 10 minutes. Strain the leaves and then let the tea cool to room temperature. Give the tea to the infant using a bottle. If you don't have access to chamomile flowers, an alternative is to use packaged chamomile tea bags instead. Nursing mothers can also choose to drink the tea themselves, allowing the benefits of chamomile to be passed to a child when breastfeeding. The antispasmodic properties of peppermint leaves can potentially help to reduce intestinal cramps that could be causing colic. For this reason, it is not surprising that peppermint flavored water has been used for hundreds of years as a remedy for colic. 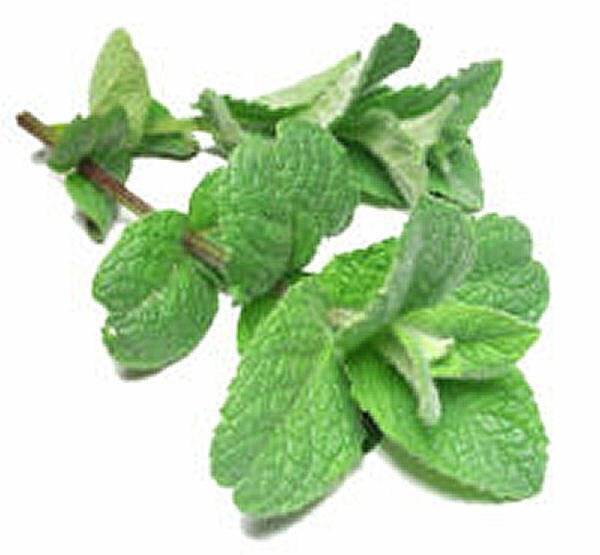 An effective colic remedy is to place 1 teaspoon of dried mint leaves in a cup of boiling water, and letting it stand for 10 minutes. You can then strain the tea and let it cool to room temperature, and then feed it to the baby in a bottle. Nursing mothers can also drink this peppermint tea since the benefits will be passed onto their baby through the breast milk. It is important to use peppermint leaves instead of peppermint oil when making this tea, since the oil extract is much too strong for infants. Basil is an herb that has both antispasmodic and sedative effects due to an active ingredient known as eugenol. For this reason, a tea made with basil leaves may be beneficial in treating colic that is related gastrointestinal discomfort. A simple remedy is to add 1 teaspoon of dried basil leaves into a cup of boiling water, and letting it stand for 10 minutes. You can then strain the tea, let it cool to room temperature, and then feed it to your baby using a bottle. Nursing mothers can also drink the tea to pass the benefits onto their baby when breast feeding. Boil one teaspoon of fennel seeds in a cup of water for 5 minutes. Add half a teaspoon of sugar. Let the mixture cool to room temperature, and then strain the seeds. You can then feed a colicky baby 1 teaspoon of this fennel water three times per day for up to 5 days to see if it helps resolve the symptoms. Some recent research has found that a protein found in cow's milk could be the cause of up to 10 percent of all colicky babies. This protein can be passed on to infants through certain milk-based infant formulas as well as through the breast milk from mothers that consume dairy products. If your baby is suffering from colic, you can try to replace milk-based products with soy-based products for two weeks to see if there is any improvement. If there is no improvement, it is safe to assume that milk isn't the problem. Repetitive white noises can help to distract a colicky baby from whatever may be causing discomfort. Some effective sources of white noise include vacuum cleaners, dishwashers, washing machines, and even running water from the tap. You can try some of these sources of white noise for a few minutes to see if it helps reduce the crying for a few minutes. If you find that these noises are effective, you might want to consider purchasing a sound machine which often contain a variety of repetitive noises such as waterfalls and flowing water sounds. Learn how to get a child or infant to fall asleep on their own. This aromatic herb is great for treating bad breath and stomach problems. I'm trying these remedies for the first time. My son is 8 weeks. Hope it works!